Food grade mineral oil has a wide variety of applications and benefits, such as lubricating and protecting food processing machines, preserving wood prep surfaces (cutting boards/butcher blocks), protecting knives from rust, and even serves as a natural laxative. 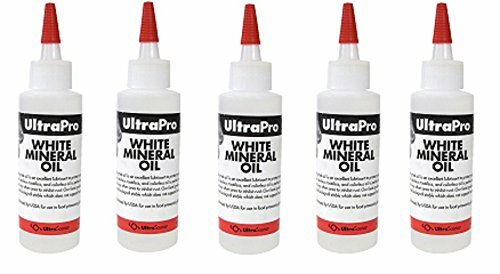 Mineral oil from UltraSource is a colorless, odorless, and tasteless mixture of saturated paraffinic and naphthenic hydrocarbons. Our food grade white oils are chemically, and biologically stable, and do not support bacterial growth. Also contains vitamin E, a natural antioxidant to protect quality during handling and storage. Meets FDA requirements for food contact surfaces, and is safe for all food preparation surfaces. Treating wood cutting boards and butcher blocks preserves the quality of the wood and prevents drying or cracking and prevents the spread of bacteria. View More In Knife Accessories. If you have any questions about this product by UltraSource, contact us by completing and submitting the form below. If you are looking for a specif part number, please include it with your message.